The Upper Peninsula was great! We had sunny weather in the 50s the whole time we were up there. It was windy, but that's par for the course when you're around Lake Superior. I loved it. The fall colors were perfect. Top of Brockway Mountain in MI. Brockway Mountain is so pretty! From the top you can see for miles. I've been there several times in the summer, but this was my first pilgrimage in the fall. It was windy and cold, but it was definitely worth it. We had such a nice trip and then I had to come back and go to work the next day. That's always kind of a buzz kill. I guess that's what being a grown up is all about. Eagle Harbor, MI. Love the contrast between the houses and the hillside. It's a dark, drizzly day here. I have the day off but I'm not feeling very motivated to do much. So, it's definitely a day for upbeat music. I've been loving Zola Jesus for about the past month and this is my favorite song of hers. She has this great, big voice, and there's just a touch of electronica to this song that makes you want to dance a little. Perfect for a dreary, depressing day. 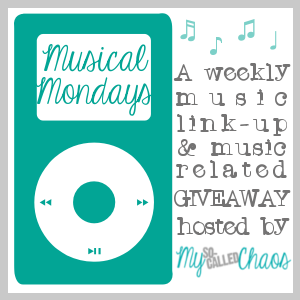 Check out Musical Monday over at My So Called Chaos to see what everyone else is listening to. 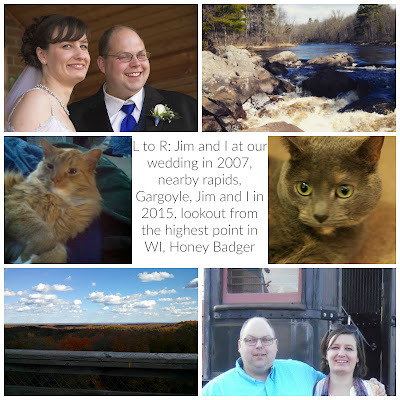 It's My 100th Post of 2014 and a Giveaway!